For the second straight year the World Series of Poker Europe tournament series will take place in Cannes on the French Riviera (a far better locale in the fall than dreary old London), and in 2012 the WSOP Europe will award seven bracelets according to the schedule released on Thursday by the WSOP. After a successful first-run in Cannes in 2011 (after the WSOP Europe moved from its home in London, England for the first time in its history) Cannes looks to be the new home for Europe’s most famous tournament series, and the WSOP is looking to expand upon last year’s success by moving the series up a few weeks, when Cannes is still a tourist hotspot. 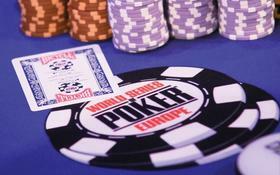 Last year, American Elio Fox defeated poker superstar Chris Moorman to win the 2011 WSOP Europe Main Event. Other players who made very deep runs in the 2011 WSOPE Main Event were Shawn Buchanan (6th place), Jake Cody (7th place), Patrik Antonius (9th place), Arnaud Mattern (10th place), John Duthie (18th place), and Erik Seidel (21st place). This entry was posted on Sunday, March 11th, 2012 at 9:28 am and is filed under Poker News. You can follow any responses to this entry through the RSS 2.0 feed. You can leave a response, or trackback from your own site.